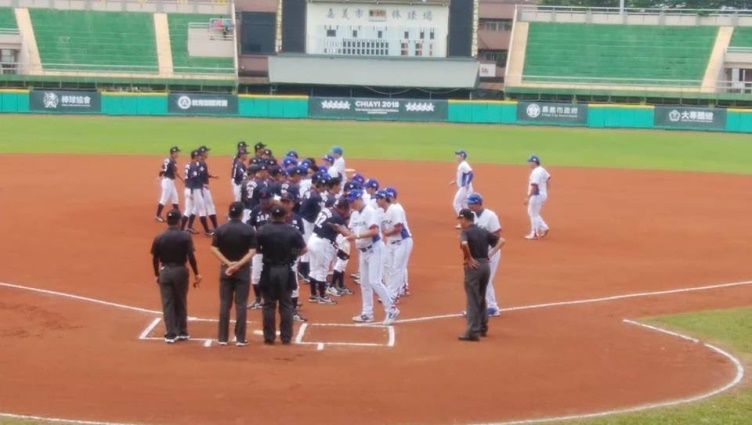 CHIAYI July 10 -- It’s all happening in Chiayi as the FISU World University Baseball Championship enters the Super Round, with the top four teams going up against each other. After 4 days of round robin action, USA, Japan, Korea and hosts Chinese Taipei have marched into the final four. The Super Round competition continues with matches between Japan and Taipei, and Korea versus USA, scheduled over the next few days. The Championship will culminate with the final matches for the gold and bronze medals on 15 July. Meanwhile, the other Super Round match of the day was not so closely contested as semifinalists and neighbours Japan and Korea faced off. It turned out to be an easy 15-0 win for Japan, who have finished as silver medallists twice in the WUC Baseball. Like Taipei, Japan too had entered the last four on an unbeaten run, including a 21-1 thumping win over Hong Kong in their last group match. The Mercy Rule was called in, stopping the game in the fifth inning, as Team Japan scored 21 points with a homerun hit by the cleanup hitter, Kato Masaki. Coach Okubo Hideaki could not be more pleased. “The players are performing better and better and we will aim to be the champions,” he said after the game against Hong Kong, China.